Reading to a child can make all the difference - donate books today! 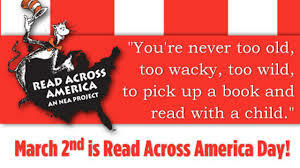 Join the Madison Area YMCA in our effort to bring the gift of reading to children in our area. Donating books is easy! Click on SHOP NOW to purchase the age-group of books you would like to donate. You will be emailed a tax receipt at the time of purchase. At the end of the drive all books ordered online will be shipped directly to us for distribution to the children. Thank you. Your contributions will strengthen our community by encouraging more kids to read!